Lidl Scotland has supported the STV Children's Appeal every year since its launch in 2011. Over the course of eight years they have raised over £420,000 for children in Scotland affected by poverty. Last year in 2018, the store's efforts raised more than £44,000. Stores across Scotland have been big fans of the charity, with staff hosting their own fundraising days, placing collection tins in-stores. 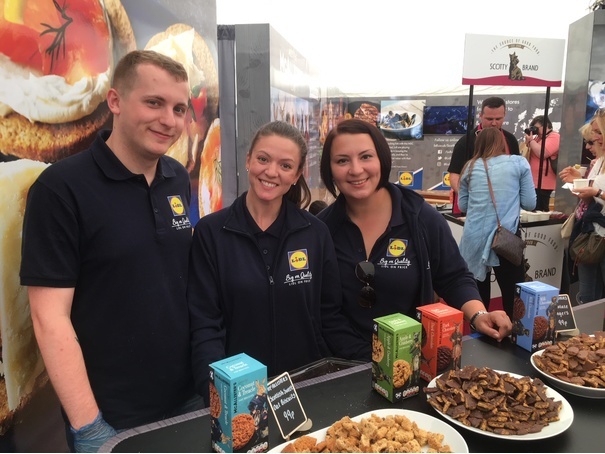 In 2018 Lidl again generously made a donation of £20,00 from the sales of their McAllister biscuit range sold between June and August to the STV Children's Appeal. Chris Scott from Lidl said: "Lidl are proud to have supported the STV Appeal every year since its launch in 2011. The STV Children's Appeal is especially important to Lidl employees as it aims to create a positive impact within the communities which we serve." The STV Children's Appeal are delighted to have Lidl supporting the campaign again this year in 2019. Elizabeth Partyka of the STV Children's Appeal said: “We're delighted to have Lidl on board as a corporate supporter for another year. We saw some fantastic fundraising efforts from Lidl employees and customers across Scotland in 2018 with every penny raised - whether from packs of biscuits sold, fundraising parties, walking, running or taking part in the Big Scottish Breakfast event - going directly to help Scotland's children. We look forward to working together with Lidl again in 2019 to raise even more for those who need it the most."